Note: Maximum back gauge depth is reduced by 2 inches when equipped with micro-adjustable gauge option. *12 ton, 100 lbs less without floor stand. Note: Width between housings, add 1/4". 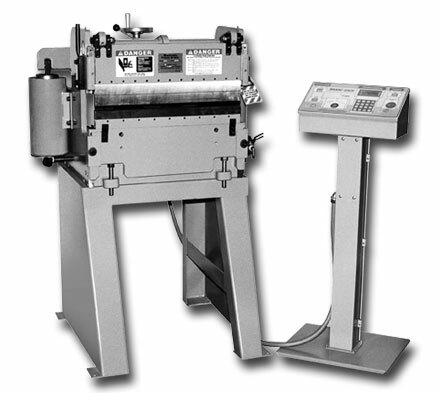 Note: Full 21-1/2" back gauge depth possible only on sheets 7" narrower than maximum width. Maximum back gauge depth is reduced by 2 inches when equipped with micro-adjustable gauge option. *24 ton, 150 to 250 lbs less without floor stand. *For actual adjustment deduct 4-7/8 from 12 ton bed width and 10-1/4 from 24 ton bed width. Travel X = 21 inches std. R = 9 inches std. 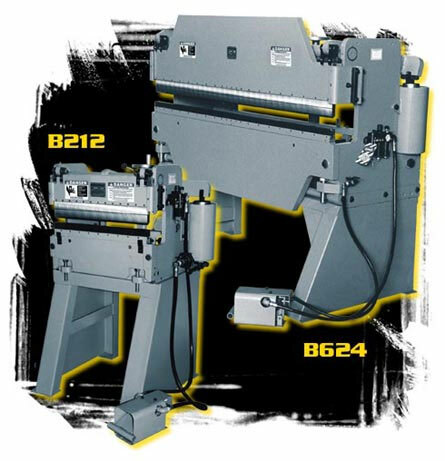 B412 Atek Bantam Press Brake: 12 Ton x 4 Foot Bed. lease to own for as little as:$149 per month! lease to own for as little as:$176 per month! lease to own for as little as:$483 per month! lease to own for as little as:$229 per month! lease to own for as little as:$299 per month! lease to own for as little as:$154 per month!